Dark, discolored teeth can cause you to look and feel less than your best. Learn how to prevent discolored teeth so you can proudly show your smile. Don’t destroy your pearly whites with dark foods and drinks. Certain items like coffee, tea, red wine, and tomato sauce contain chromogens that cause tooth discoloration. Try to reduce your intake of these foods and drinks to keep stains from developing. While they’re fine to enjoy occasionally, always rinse your mouth afterward to reduce their staining power. Chew away any stains with sugar-free gum. 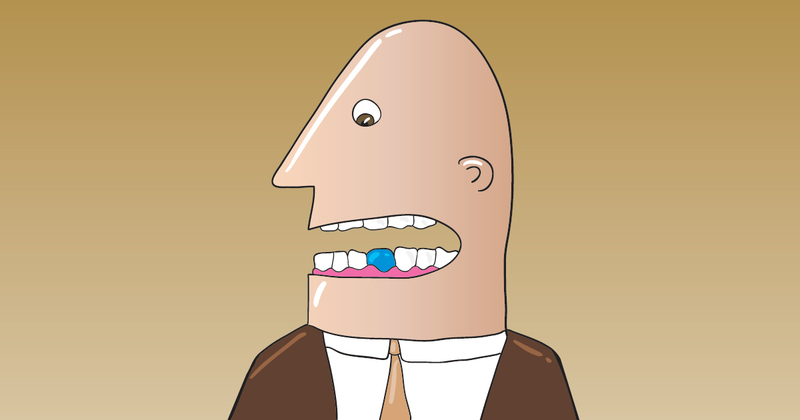 Chomping on a stick of sugar-free gum after meals increases your flow of saliva. This extra saliva will rinse away any trapped food, which will decrease your risk of stained teeth. Drinking through a straw is one of the top tactics to prevent the discoloration of teeth. Whenever you do have a dark-colored drink, sip it with a straw to avoid direct contact with your bright, white teeth. Smoking is as bad for your smile as it is for your health. By quitting smoking, you can reduce your risk of lung cancer, heart disease, and a stained smile. Cigarettes contain nicotine and tar, which are major contributors to the discoloration of teeth. Rather than live with a dark smile or continually pay for tooth whitening, you’re better off stopping this habit before staining starts. Did you know that flossing can keep stains off your teeth? Regular flossing gets rid of the plaque that’s built up on your teeth, which can cause severe tooth discoloration. But by flossing at least once a day, you save yourself from stained teeth. One of the most important things you can do to keep your teeth healthy and white is have professional dental cleanings twice a year. Only a dental professional can completely remove the built-up plaque that causes stains on your smile. This will keep your smile looking its brightest and its best.